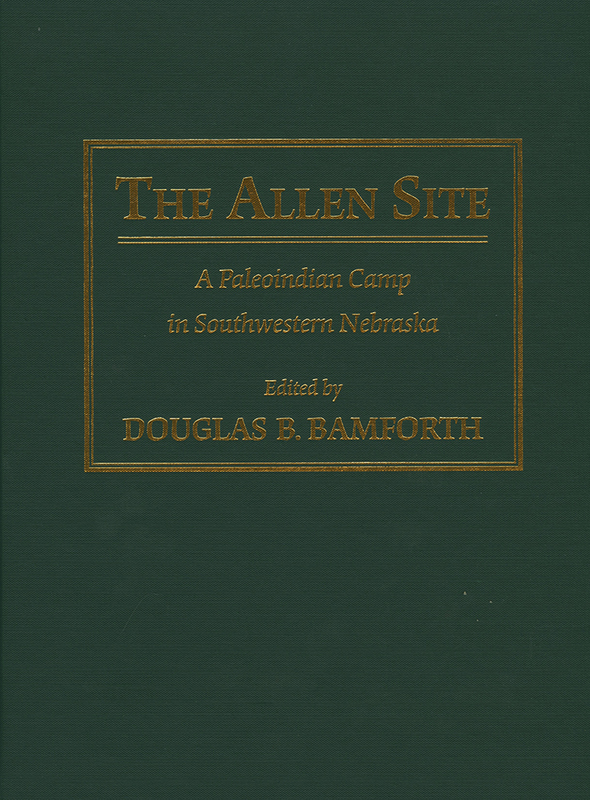 The Allen Site in southwestern Nebraska has nurtured the interest of archaeologists and paleontologists with abundant signs of a long history of human, animal, and environmental activity. Douglas Bamforth focuses primarily on Paleoindian land use represented by the Allen Site and the adjacent smaller sites collectively known as the Medicine Creek Paleoindian sites. The Medicine Creek sites, located in the central Great Plains, highlight aspects of early Native American lifeways that are obscured by the emphasis in most Paleoindian examinations of large bison kills. Research at Medicine Creek has stressed reconstruction of both the overall regional environment and of local microenvironmental variation, along with human responses to both of these. Advances in analysis and well-preserved remains from the Allen site in particular document the extraordinary range of species that Paleoindian groups harvested in addition to bison and open serious questions about widely accepted reconstructions of Paleoindian land use. In addition, the well-stratified evidence for long-term residential use of the site offers a rare chance to consider patterns of adaptive change over the course of the Paleoindian period. Douglas B. Bamforth is director of graduate studies and associate professor in the anthropology department at the University of Colorado, Boulder. He is also the outgoing associate editor for reviews for American Antiquity, published by the Society for American Archaeology.